EBJI » EBJI goes to Idaho! You are Here:EBJI >> News >> EBJI goes to Idaho! Comments Off on EBJI goes to Idaho! 10 EBJI Teenagers were accompanied by Ken Kokka Sensei and Sayaka Matsumoto Sensei to the Twin Falls CSI Judo Tournament in Twin Falls, Idaho. EBJI left SFO early Thursday morning and arrived in Boise a few hours later. 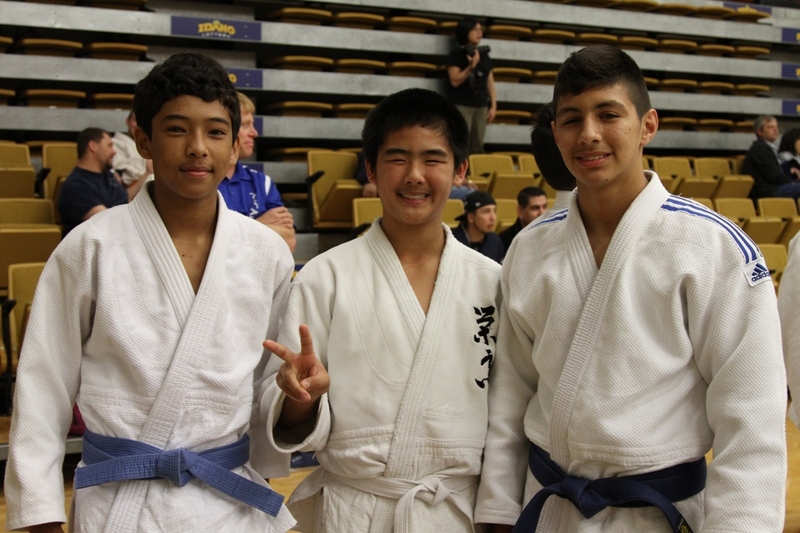 After making the two hour drive to Twin Falls from Boise, they worked out with the members of the Twin Falls CSI judo club led by Bryan Matsuoka Sensei. 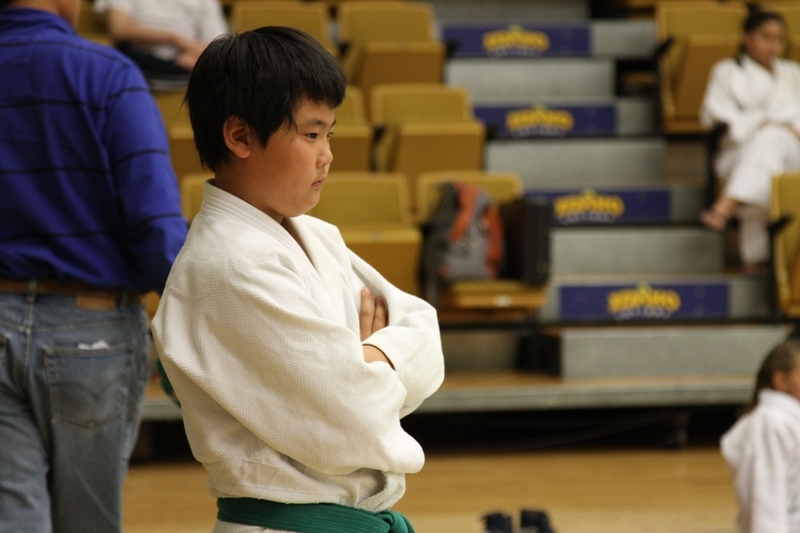 On Friday they enjoyed a morning and afternoon of fishing followed by a joint workout with other Daiheigen Members at the tournament venue. 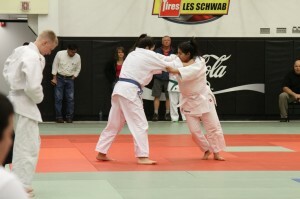 Saturday was the competition with 8 EBJI members competing and representing our dojo. 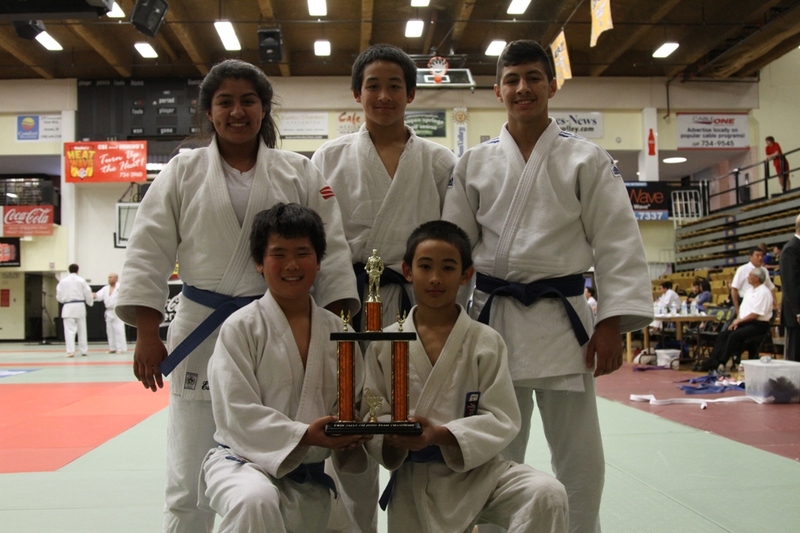 Estefany Gonzalez, Nico Gonzalez, Yoshiki Castillo and Masa Matsumoto each took gold medals in their age and weight divisions. 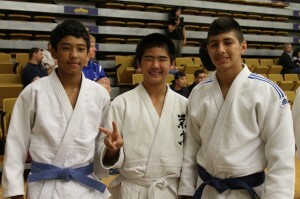 Sato Matsumoto and Jason Wood took silver and Taka Matsumoto took bronze. 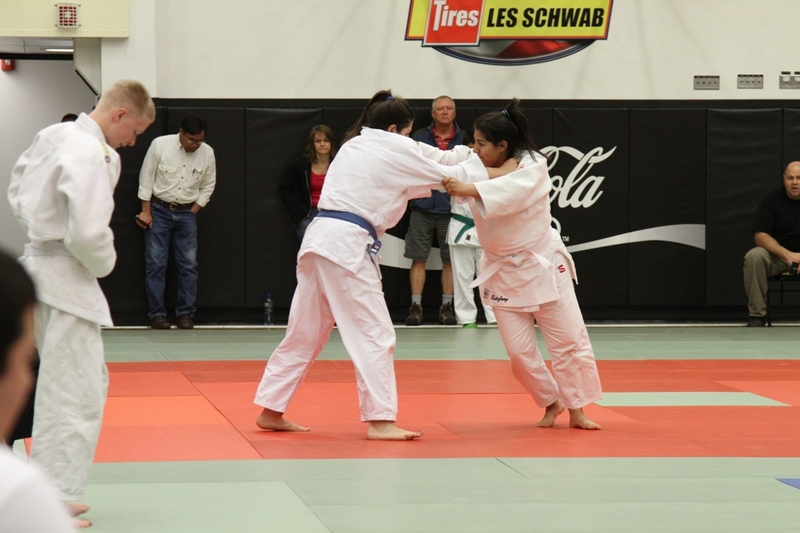 Nick Wood also competed winning several matches, including the team competition where he helped lead EBJI to gold. 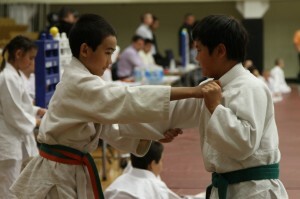 All the kids had a fantastic time. 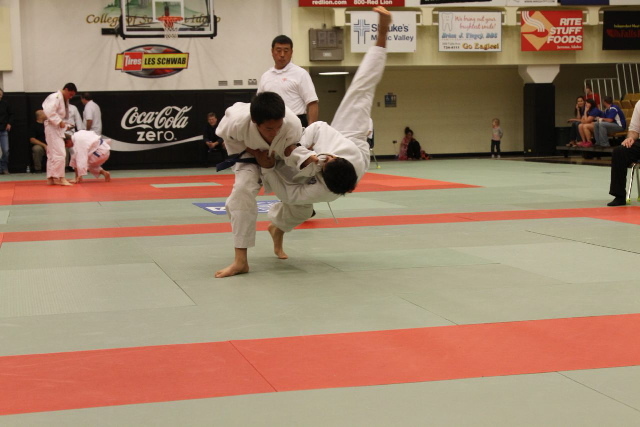 A special thanks goes out to Bryan Matsuoka Sensei, Bob Suyehira Sensei and Terry Fukuda for their hospitality!